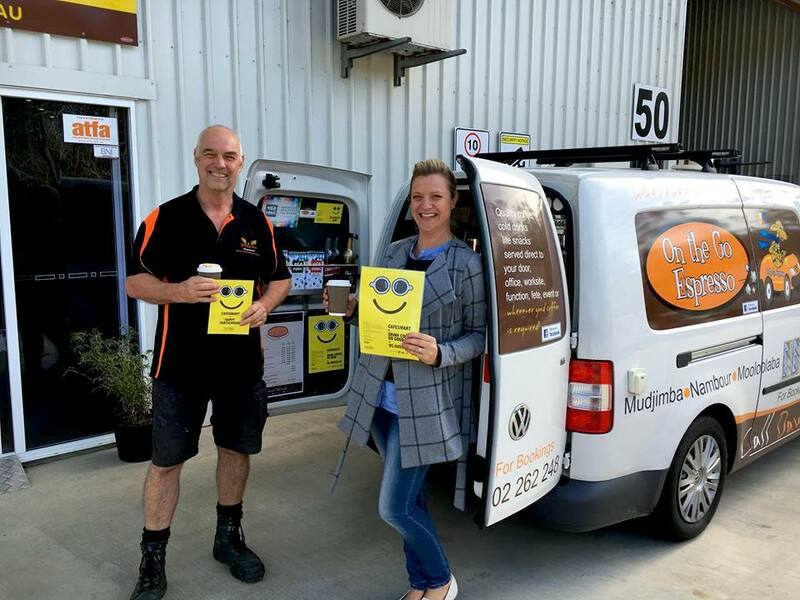 Dave Humphreys is On the Go Espresso – a zippy little caffeine station that clocks up to 150 kilometres in a day serving up customers all over the Sunshine Coast. On the Go Espresso is also one of CafeSmart’s quiet achievers. Since 2015 Dave’s collection box has more than doubled the totals from the $1 per coffee sold on the day. I gave Dave a call to talk about the secret to his CafeSmart success. It turns out the secret ingredient: passion for cause. “When I first participated in CafeSmart I learned a lot about homelessness. It’s old people, it’s young people, it’s mum’s and dad’s – it really can impact anyone. It was a big eye opener for me. You meet everyone in this business, and a lot of those people are doing it tough. 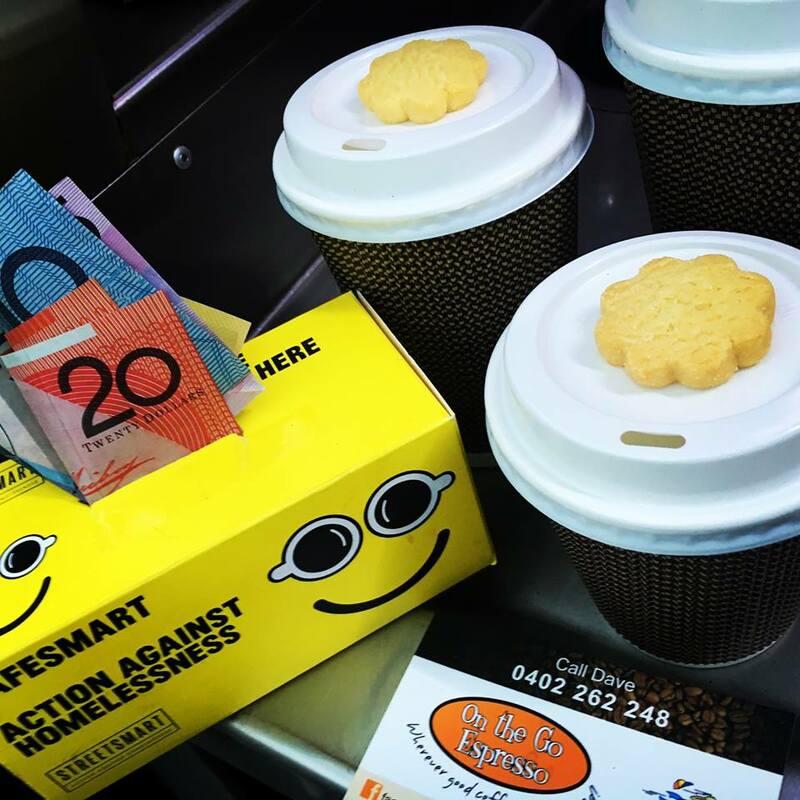 Through CafeSmart I learned that some of my customers have been homeless, and know how hard it is out there. 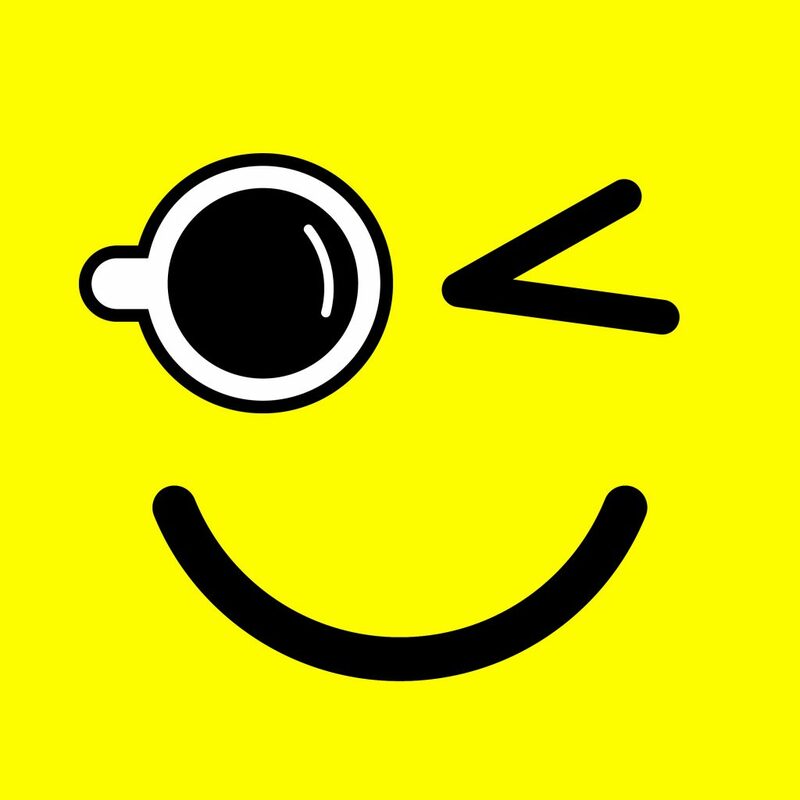 Dave makes use of the bright yellow CafeSmart smile to start engaging people as soon as he gets his pack in the post. “I cover my van with the posters and postcards in the CafeSmart event pack. It’s bright, it’s in your face and engages discussion – people want to know what it is all about. I talk about it on social media, and I even pass out laminated postcards and asked some of my regular customers to take some pictures and get on social media too. And CafeSmart does bring home the personal because it’s about locals helping their hood, and supporting services in their locality. That makes a big difference to Dave and his customers. We will be bringing you more #LocalHero stories in the coming weeks – from cafes big and small. You can #HelpYourHood this #CafeSmart campaign by signing up your café, or looking for your local this August 4.